It is possible to combine your music and Spanish language lessons for your students during your stay in Barcelona. 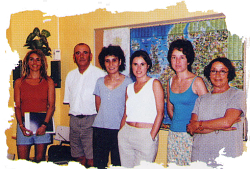 We work in association with a long-standing Language School located in the centre of Sitges. Teachers are all professionally trained, qualified and experienced specialists in teaching Spanish as a foreign language. 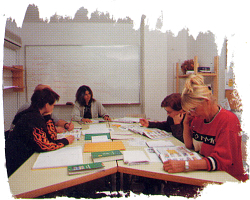 Students work in small groups of 10 or less per class. The main emphasis is on communication and oral comprehension, combining classroom tuition with consolidation activities in the local area. Our online quote system at the top of this page includes Spanish Language course pricing within the 'Additional Options' section. Pricing for language lessons is per hour. Groups should make their own way to and from the language school and supervise students outside of lesson time.